These are small white Ammonites, available in two sizes; 10-20MM and 30-40MM wide approximately. 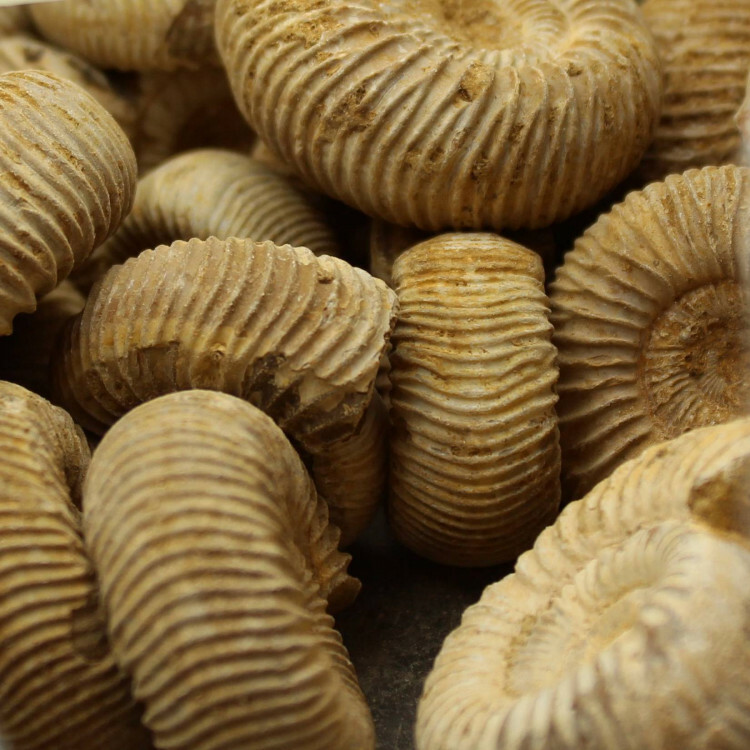 These fossils make great gifts for younger people – they are tactile and interesting, and the natural variation makes every single piece different. 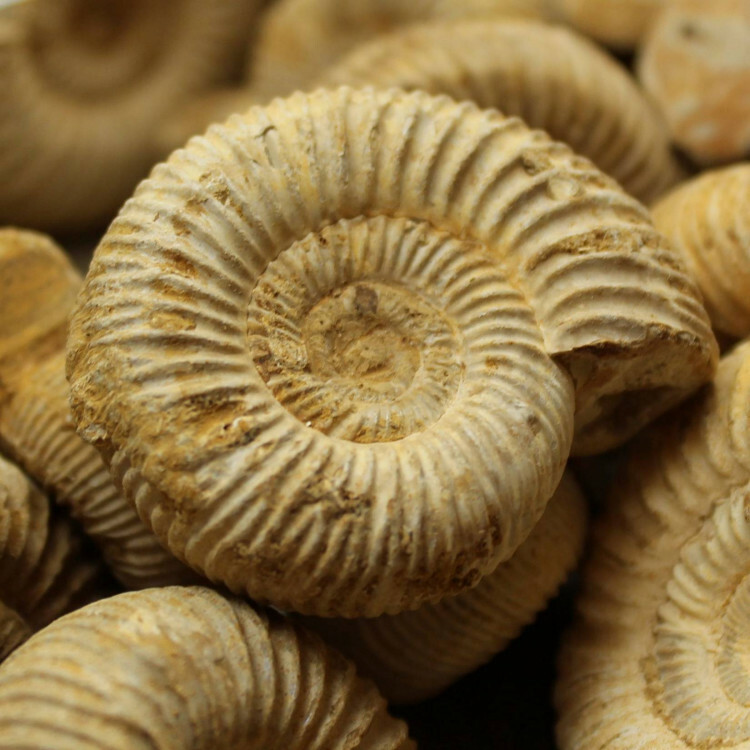 Given their low price point, they can be an excellent stepping point into starting a fossil collection. 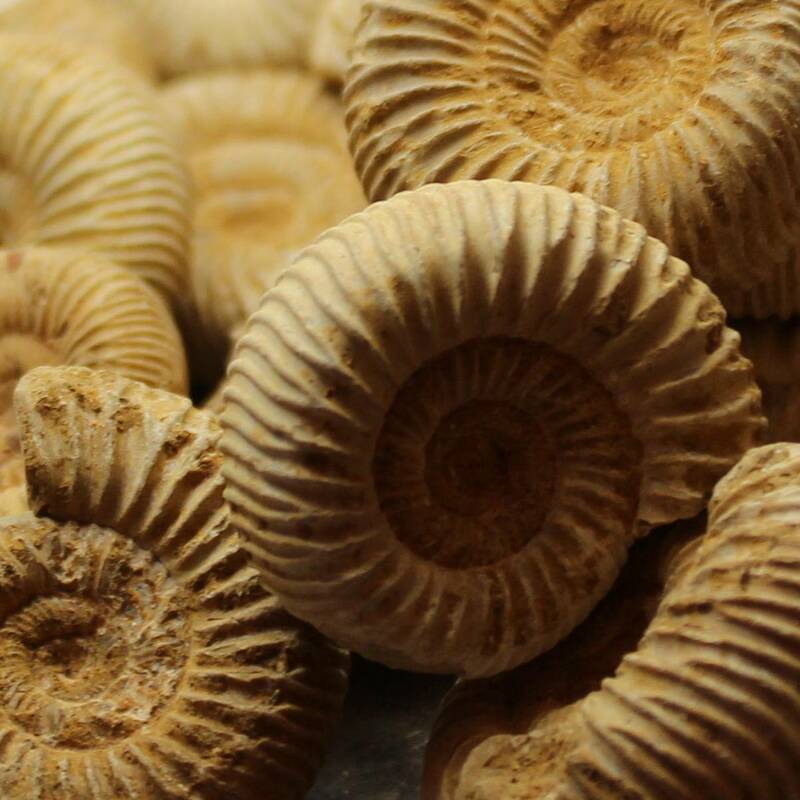 They aren’t the best grade of Ammonite, and may have small cracks, marks, or discolourations, but that doesn’t mean they aren’t a worthwhile edition to any collection. We have tried to show the natural variations in these fossils. 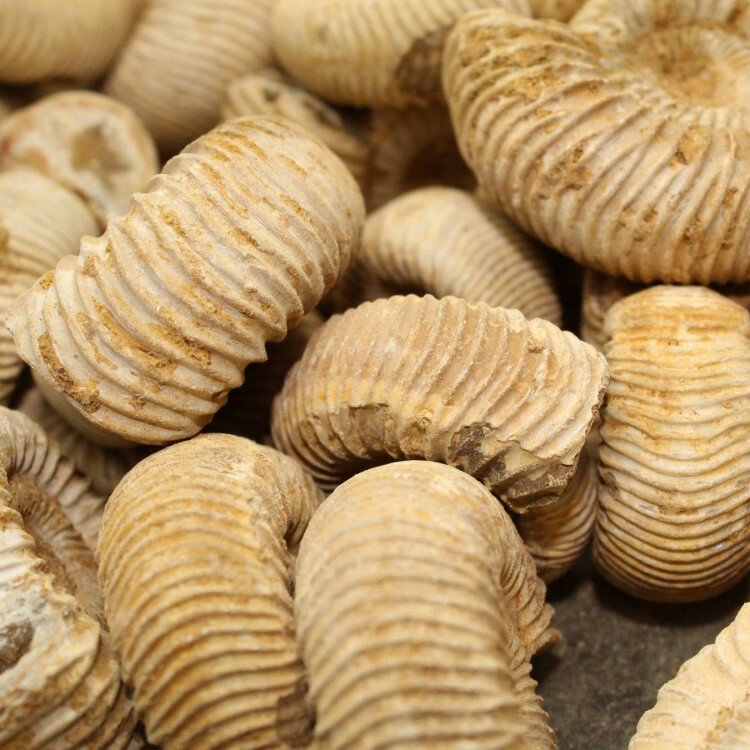 Plenty of these do still have some matrix on, covering up the details. 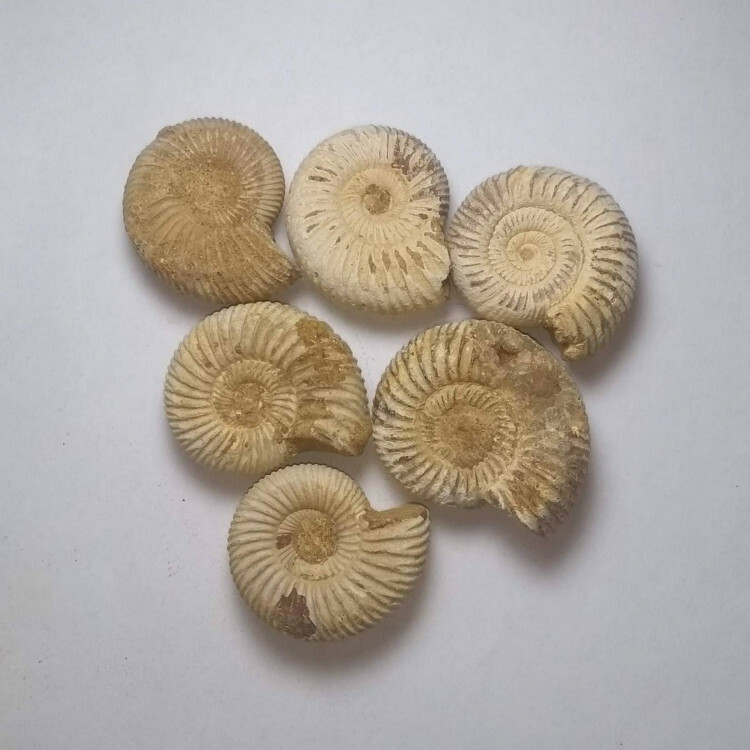 We sell single fossils, as well as offering discounts for larger purchases. We sell a wide range of other Ammonites – see our Ammonite section for more, including rough, cut, and polished fossil samples.